It’s time for a new, lighter, healthier you! 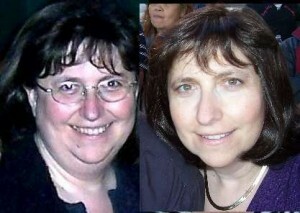 Yes, hypnotherapy for weight loss works! Now is the perfect time to embrace that healthier lifestyle, let go of the extra pounds — hypnosis works! Discover for yourself the proven ways to change your life and become the person you want to be. What is hypnosis? What is it REALLY? More info. is here: Frequently Asked Questions About Hypnosis! and Connie explains in the video below. The fattening of America! This is a growing issue–disturbing trends in unhealthy weight gain. A recent report is calling for a “national strategy” to combat this. They should consider HYPNOSIS!! Its power and success for helping people manage a healthy weight is well-documented. In the past year adult obesity rates have continued to climb. 23 US states reported that their citizens are fatter now than they were a year ago. In fact, two-thirds of American adults are either overweight or obese. No states reported a decrease in obesity. 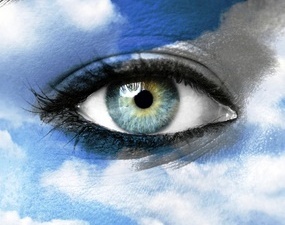 Hypnosis has helped millions of people just like you improve their lives and realize their most precious dreams. Hypnosis frees you from the limitations the world and your life until now has placed on you by speaking directly with your unconscious mind, the ultimate origin of all your behavior. And check out my own success, with the before and after hypnosis picture to the left. That’s me. I know this methodology works to focus the mind in ways that change behaviors. Connie and Michael Brannan use a unique blend of Hypnosis and NLP techniques in their work as Neuro-Linguistic Hypnotherapists. “But just what is that?” you might ask. Neuro- Linguistic Programming (NLP) is another complete set of healing tools, tools for change. It’s a behavioral change technology. It uses techniques involving words and language to actually alter your neurology, and allows you to change, remove, and replace behaviors and feelings as desired. With NLP, you choose your desired states of well-being, mental, emotional and physical. Trust us, it’s cool. And it’s use will result in an increased ability for you to create a better life for yourself! Connie and Michael Brannan, of Mindworks Hypnosis have combined classical clinical hypnotherapeutic skills with the behavior-changing power of NLP to forge a unique and new ultra-powerful therapy we call “Neuro-Linguistic Hypnotherapy.” This blend of skills is rare! It’s powerful!! You want the best for yourself, and you can rest assured that we are two of the most skilled hypnotists in the Seattle Metropolitan area utilizing this amazing technology. We are Licensed Trainers of Neuro-Linguistic Programming®, which means we also own and operate a private career school and teach NLP to other therapists. At Mindworks Hypnosis & NLP, we have a FULL tool box of tools, techniques and skills, and use them to tailor for you individually the most effective change work possible. In addition to NLP and hypnosis, we are also experienced in parts integration therapy, timeline work, Reiki energy healing, and Matrix Energetics transformation technology. All these tools and our years of experience are at your disposal, which means that you will see the changes you want quickly! What are you waiting for? Have the healthier and happier life you want beginning now. Yes, absolutely! Hypnosis is a time-tested, safe and natural tool for change. Many cultures throughout the world have practiced hypnosis for centuries. In fact, even the ancient Egyptians practiced this wonderful, healing art. You are completely safe, in the hands of a skilled and ethical practitioner. 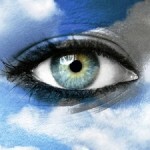 Hypnosis is becoming more and more recognized as a powerful tool for safe, effective and lasting behavioral change. When you decide you’re ready to drop those unwanted pounds, stop smoking, learn a language quicker, improve your golf game or study habits, or improve your life in any number of ways, we can help! You’ll be amazed at the speed at which these desired changes materialize in your life! Hypnosis is the path to becoming the slender, healthier, happier You! Let’s get started with a Free Consultation. We offer a free private in-office consultation, but times book quickly and are limited. We’re located in Bellevue in the Bellefield Office Park, but service the entire Seattle area and East side. Some things are worth the effort, we’ve even had clients fly in from as far as Alaska. Call now to reserve your time to discuss the improvements for your life and how these amazing tools put you on the path to success and better health. Be prepared to: Dream… Imagine… Relax… As you become the thinner, healthier you! Watch the brief intro video below to hear Connie tell more about hypnosis and how she helps! Connie Brannan is a member in good standing with nationally recognized professional hypnosis organizations, including the NGH, National Guild of Hypnotists, both the national organization and the Washington State Chapter. 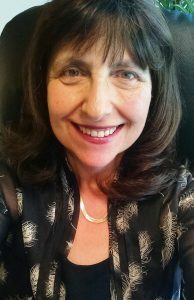 She is a member of the Society of Neuro-Linguistic Programming® and the IAPCH, the International Association of Professional Conversational Hypnotherapists. Michael Brannan is also an active member with the NGH and Society of Neuro-Linguistic Programming®, and the IAPCH. He is former President of the Washington State Chapter of the NGH for several years. Unleash the infinite power within you to become slim and healthy! This is a program where you’ll see results, because together we reprogram your mind to act in ways you want to: healthy choices, healthy eating, exercise. It won’t be a struggle, and it’s not a “diet,” it’s simply doing what you want to do. For yourself. Your mind and your body will be working together–for your health! It’s so cool. Some of the programs out there suggest radical life-threatening surgeries or something artificial like buying prepackaged meals from them forever! That’s ridiculous. And not practical, and not necessary. Your subconscious mind can lead you to a healthy body and healthy life! Naturally! Easily! And quicker than you can imagine, you’ll be dropping the pounds. Check out MY before and after pictures above here. When it comes to weight management, I know what I’m talking about. You want the best. The experienced, someone who’s struggled with a weight problem all her life and finally overcome it–with HYPNOSIS!! Someone who knows exactly what you’re going through. I’ve been through the fire, the crucible with starvation and yo-yo weight and all those fad diets out there for years and years, and I’ve come out the other end. Hypnosis is the answer! Now I want to help you achieve your own fabulous successful healthy results! Let’s do it together. Imagine yourself in your “skinny jeans.” Hear the compliments of your family and your friends. Look in the mirror in the morning and LIKE what you see! Feel the energy coursing through your body. You feel GREAT. You look GREAT. You feel and look younger. Happier. You have more stamina/fun in the boudoire. So much less strain on your body, on your joints, on your heart. You’ll live longer with a higher quality of life. Lightening up has so many proven health benefits. Why not begin now? !